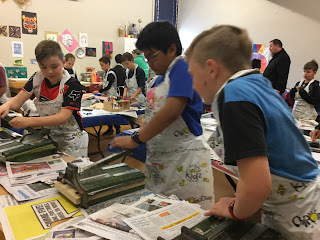 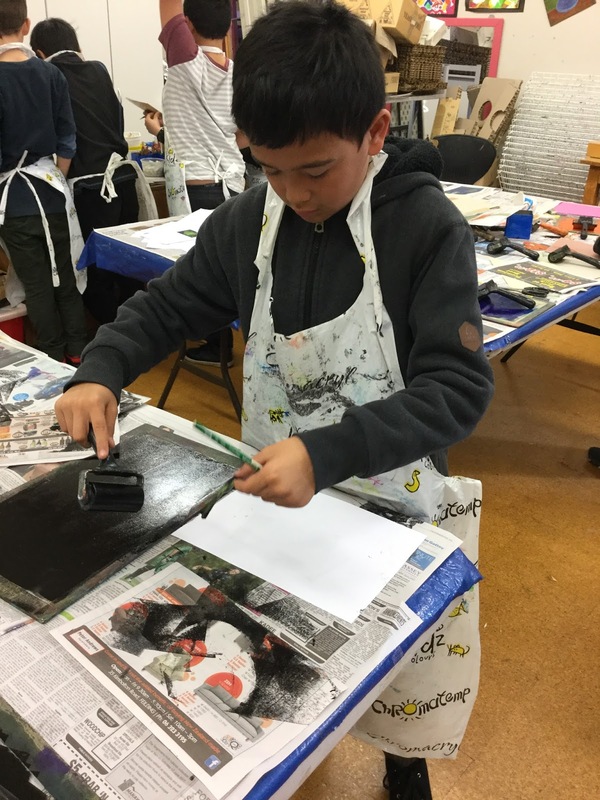 At school we have been learning printmaking during art so when we went to Te Manawa we had some knowledge on what to do. We were taught three new techniques on how to print. 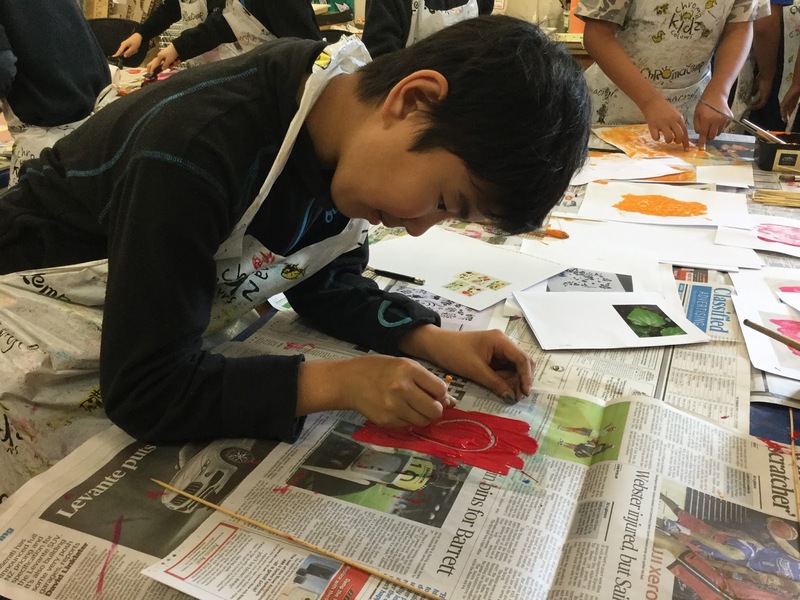 We used leaves for inspiration. 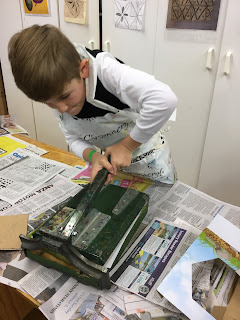 Using paint we drew leaves, cut leaf shapes from cardboard and inked over the leaves to make prints for cards. We look forward to receiving our artwork in the post one day soon so we can share them with our family and friends. 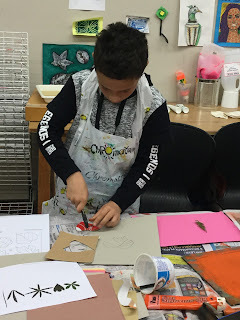 I like your designs in art. Nice art room 1 and 2.